John Dumelo after publicly endorsing president John Dramani Mahama and the ruling NDC government has had many people talk against him but he has been mute. He had an issue with his close pal Yvonne Nelson due to his choice but they are cool now after many months of going their separate ways. 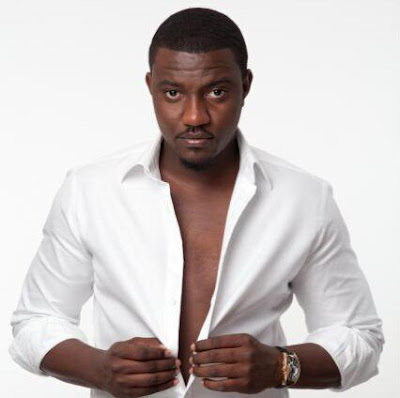 Actor and TV presenter, Leo Mensah, has thrown shades at the '4play' actor. The actor popularly known as Ntoatoahene has described Mr. Dumelo as an individual who has "sold his brains to fill his stomach." According to him, he wants the country to develop that’s why he has proclaimed his love for the leading opposition party but not because of cash. Leo Mensah on his facebook fan page wrote that “A friend told me I am not smart cos John Dumelo joined NDC and he’s driving fresh Land Cruiser, I told him Notorious B.I.G drove better cars than Martin Luther K.J but Martin L.K.J will forever be remembered than B.I.G. It’s about who thinks about the nation and the next generation not those who want to sell their brains to fill their stomachs… #GHANAMUSTWORKAGAIN #ELECTION2016 #IAM4CHANGE #NANAB3BA"